In a new paper, two economists argue that artists’ creative output suffers in the periods immediately following the death of a loved one. 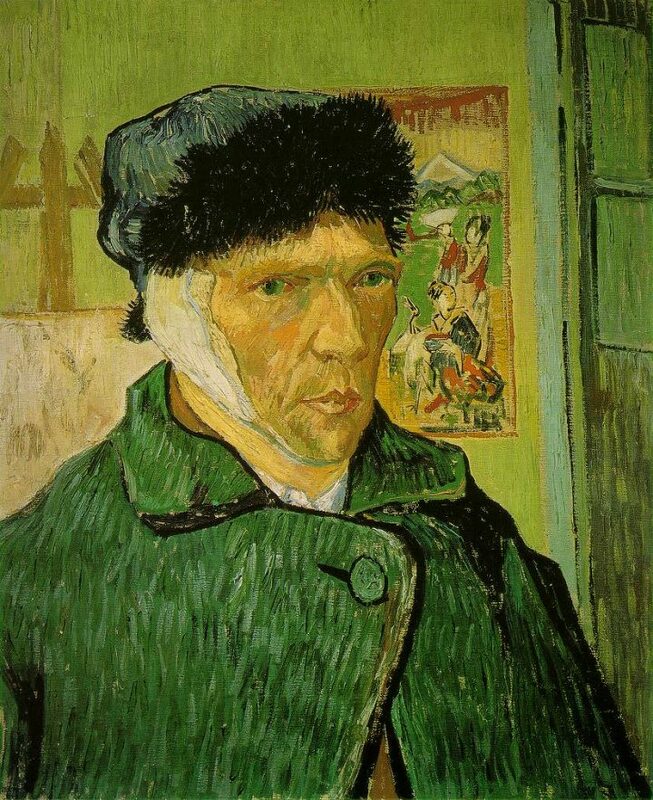 Does exceptional art come from an artist’s pain? The persistent trope of the “tortured artist” argues yes — and although use of that term tends to romanticize serious mental health issues, there’s been much research into the relationship between creative output and anguish. In a new study published in the journal Management Science, economists Kathryn Graddy, of Brandeis University, and Carl Lieberman, of Princeton University, focus on one specific source of an artist’s misery: the death of loved ones. Their paper, “Death Bereavement, and Creativity,” centers on the psychological notion of “flow,” a person’s most creative state, and how it is interrupted by the loss of a parent, spouse, child, or friend as grief occupies the mind. Graddy and Lieberman focus specifically on paintings, and they conclude that the value of an artwork drops by about 35% when created during a period of grievance, as compared to works made by the same artist at other times. Value was defined according to how much the paintings sold at auction, according to the Blouin Sales Index, and also whether the works were in the collections of major museums. Graddy and Lieberman chose to focus on the Metropolitan Museum of Art, the Art Institute of Chicago, the National Gallery of Art, the J. Paul Getty Museum, and the Musée d’Orsay. “The analysis has indicated that artists, in the year following the death of a friend or relative, are on average less creative than at other times of their lives,” the researchers write. “There is some evidence that paintings that were created in the year following a death fetch significantly less at auction than those created at other times in an artist’s life. Paintings that were created one year after a death are less likely to be included in a major museum’s collection.” In other words, their study suggests that “tortured artists” don’t benefit from their misery. But notably, the analysis shows that the decrease in a work’s value typically did not extend beyond the one-year bereavement period. Although Graddy and Lieberman studied thousands of paintings, their sample pool is limited. The study focused on over 10,000 paintings by 33 French Impressionist artists and over 2,000 paintings by 15 American artists born between 1900 and 1920, so the painters are not only all Western, but also mostly men, with the exceptions of Agnes Martin and Alice Neel. (Among those on the list are Pablo Picasso, Claude Monet, Roger Bissière, Jackson Pollock, and Paul Cézanne, all of whom lost at least four loved ones during their lifetimes.) The researchers note, however, that there were no statistically significant differences in the results between French and American painters, so, diversity issues aside, the conclusions they reached might hold for artists of other backgrounds. The researchers also acknowledge that not all deaths are reported in resources such as biographies, which could affect the sample selection. While it has its shortcomings, their study makes a concerted effort to consider artworks in the broader context of its creator’s personal life — it reminds us that art-making doesn’t occur in a vacuum.